Thinking About an Easter Motorhome Skiing Holiday? A ski break can be a perfect Easter holiday for couples, families or groups of friends and it doesn’t matter whether you’re experienced or not — the fun is in the learning (oh, and playing in the snow). Skiing can be a bit daunting if you’re a beginner, or if you’re thinking of taking your family for the first time, but if you get over these initial hurdles then you could be in for a really fun, active and unique holiday. It’s also not as expensive as you might think, especially if you combine it as part of a motorhome holiday. 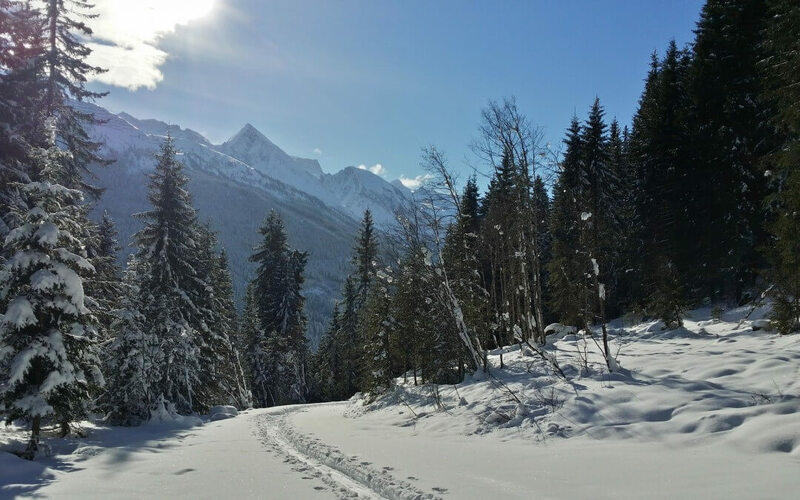 Beth Rawlins, Manager at the Motorhome Travel Agency, loves to ski and below she writes about what you can expect on a motorhome ski holiday. A lot of people envisage motorhome touring holidays to be something you do good weather so that you can make the most of outdoor living, but it can be as equally as convenient on a ski holiday. One of our favourite destinations in our own motorhome is to Fieberbrunn, Austria. We have travelled to Fieberbrunn during the summer. But by far our favourite time to visit is during the ski season — this is when it is really stunning. I can imagine that if you haven’t travelled in a motorhome in the winter before you will be thinking brrr, it’s going to be way too cold. That’s not the case at all! It’s actually very snug and we’ve stayed in Fieberbrunn in temperatures of -26 degrees and we were cosy our van. We have been skiing in Fieberbrunn at least once a year since 2009 and have experienced it for New Year, February Half term, and also Easter. Easter is one of the best times to visit the area as the weather is generally sunny and relatively warm. And there’s nothing quite like sitting outside after skiing watching the world go by and feeling the sun on your face with an ‘apres ski’ tipple of your choice in hand before heading back to the campsite to unwind. We always use the same campsite — it’s right on the slopes, the people who run it are lovely. And, it has an amazing restaurant with a very reasonably priced menu. And also a wellness centre and indoor and outdoor heated pools that are linked together. It’s a great feeling to get into the outdoor pool after a day’s skiing! It’s a great atmosphere with the steam all around you as the warm pool meets the cold night air. Contact us us a call on: 0117 9372644, or drop us an email: info@motorhometravelagency.com. We also offer a travel service, aimed at people who already have their own motorhomes or caravans. Who would like assistance in planning their route, itinerary and booking their camp sites along the way.